Autumn is perhaps the most colorful and beautiful time of the year. Doesn’t it give you that nostalgic, emotional feeling as you watch autumn leaves fall (such as those from red maple trees) while the cold breeze of air touches your face? Like that romantic scene in the movie, it really is a wonderful feeling! But let’s face it – if left unmonitored, autumn leaves can easily take over your yard. While they sure look pretty, there are several reasons why you should clean autumn leaves regularly. The first is that your lawn, too, has to breathe. The thick layer of fallen leaves can prevent nutrients, water, and air supply from getting down to the root system of your foliage. Second, it can cause serious problems like mold growth and brown patch. They can also house pests and insects that can be a big nuisance for your family. Third, those piles of leaves can get in the way of the growth of lawn grasses. Okay. Now you’re convinced. You should regularly rake leaves in your lawn this autumn. After all, the fall season doesn’t last forever so the extra work doesn’t have to scare you. But yes, raking leaves can be a tedious, fussy task especially if you have a bigger lawn. But don’t worry. You’re on the right page. We’ve got some steps that will help you clean leaves in your yard in a more time-efficient way. Raking leaves might seem like a very time-consuming task given the fact that it is a very manual task. But don’t underestimate its power. You should believe this – rake is your best friend during fall. To save time and make the process easier, the first thing you should do is get yourself a bigger rake! You can get a rake that’s up to 30 inches wide. Look for rakes with no tines so you don’t spend most of your time unclogging it. Start raking at one side of the yard, working your way to the other side in a zigzag pattern. As you move down your first column, rake the leaves to the still-leaf-strewn zone of your lawn. Turn to the corner and move back to the now slightly congested area. Repeat the process until the pushed-over leaves are difficult to move. This is much better than the traditional raking approach which involves making mounds. Why use several dump bags when you can use one big sheet of tarp to gather fallen autumn leaves as you rake them? It’s easy. Fast. And most of all – efficient. 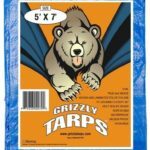 Commercial tarp products designed to pick up pile of leaves are available for about $20 to $40. But regular tarps work as fine. Choose a medium-sized tarp (around 8×8 feet) with grommets so you can easily close and tie up its sides for easy hauling and leaf disposal. It’s also a perfect tool for collecting other yard debris, such as fallen tree branches. Of course, tarp quality is important. You want to use a heavy-duty tarp that resists tearing. Leaves are heavier and definitely harder to rake when they are wet. Try raking during a dry weather. This will not only save you time and energy, you also prevent yourself from handling slimy, wet and possibly moldy leaves that can just harm your health. It is much better if you can use a mulching lawn mower. Not only will it help you clean leaves, this powerful tool can also produce a bag of leaves that are ready to be used as a mulch or compost. Yes – both time and money-saving! Most modern mulching mowers can be used without attaching a collection bag. Since the machine is designed to chop up leaves and grass clippings, you can simply let them sit on your lawn and decompose, nourishing your lawn. However, not all types of leaves are great with mulching mowers. Use this machine for raking maple and elm leaves (and others that decompose easily). For oak leaves and the likes, opt with a rake. Leaf blowers can be really noisy but they are an effective way to get rid of autumn leaves. You will need a heavy-duty one especially if you have a huge lawn. Using an electric- or gas-powered leaf blower, along with a manual rake will definitely save you time and energy. Just don’t forget to wear eye and hearing protection. Leaf blowers also work best for removing grass clippings, thin twigs, raked thatch, and other flimsy debris. To make leaf blowing more efficient, break your yard into workable sections. Unlike with a rake, it’s easier to create mounds of debris when you’re using a leaf blower than trying to move them all to one corner. Directing leaves and debris onto a tarp makes the process even easier! You can just haul them to the curb for pickup. Cleaning leaves isn’t something you do just once. Not only is it going to take you such a long time. It’s going to drain your energy for sure. Don’t wait until fallen autumn leaves have piled a foot high on your lawn. Schedule a weekly cleanup to keep things on track. Depending on the volume of fallen leaves, you should rake, mow and/or blow leaves once a week or twice a month. Remember that if you don’t deal with them on a timely manner, these leaves can weaken your lawn. 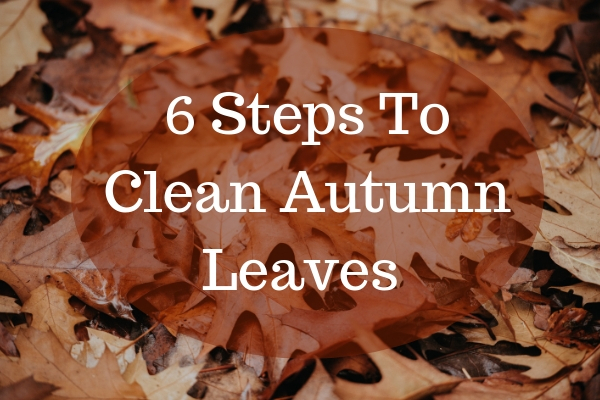 Cleaning leaves this autumn shouldn’t be a stressful job for homeowners. It can be a little time-consuming at times. But surely, there are ways to make any chore better and easier! You can save a great deal of time and effort following these steps, and ensure that your lawn stays healthy and beautiful the entire season!